zarinahtakesapaycut: PwC fraudsters doing consulting work for PEMANDU! KUALA LUMPUR: The Audit Oversight Board (AOB) has pinpointed “a number of shortcomings” after inspecting the country's six largest audit firms last year. The Chairman of the PEMANDU board is YB Senator Tan Sri Dr. Koh Tsu Koon, Minister in the Prime Minister’s Department, in charge of National Unity and Performance Management. 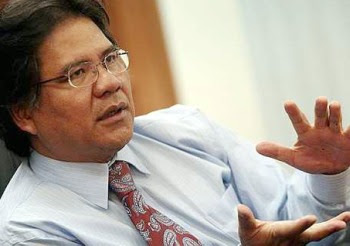 The post of Deputy Chairman and Chief Executive Officer of PEMANDU is held by Minister in the Prime Minister’s Department, YB Senator Dato’ Sri Idris Jala. PEMANDU recently released its Annual Report for 2010. On page 24 of the report, it says,"We have endeavoured to make the scoring system transparent, open and as precise as possible. This includes appointing independent third parties to undertake data collection where appropriate. Our specific focus has been on presenting the data truthfully – reflecting both successes and shortcomings to gain a true picture of the GTP’s performance." It is a prudent move by PEMANDU to appoint independent third parties to help get the true picture of the GTP's performance.
" To this end, PEMANDU engaged PricewaterhouseCoopers Malaysia (PwC), an independent party, to ensure the information and data inputs used in each of the reported NKPIs agreed with the information provided from the participating Ministerial agencies and departments. The respective NKPI calculations were also checked against the guidelines and formulae prescribed by PEMANDU. PwC's findings highlighted a number of exceptions, which were subsequently addressed and relected in the reported NKPIs. In conclusion, PwC confirmed that the 2010 NKPI actual results have been validated according to the agreed-upon procedures. PwC has also identified opportunities to improve processes and the quality of information. As such, PEMANDU, together with the relevant Ministries have agreed to take prescriptive actions to effect these improvements over the next twelve months. Going forward, PwC will work together with PEMANDU to set up an assurance framework to annually assess the quality of sources, processes and information provided." PEMANDU, how do you reconcile the fact that Chin Kwai Fatt. the MD of PwC, had signed a false declaration in 2008, with the stated desire "to present the data truthfully"? is probably still aggressively lobbying PEMANDU, for ETP jobs. PEMANDU, can you get your 'consultants' to answer these concerns first before 'going forward' with PwC as the third party that will assist you in presenting the 'true' picture of what is happening with the GTP program to the Malaysian public? 1. The fact that PricewaterhouseCoopers Malaysia, under it's MD Mr Chin Kwai Fatt, have managed to hide several hundred millions of Ringgit in contingent liabilities under a company called PricewaterhouseCoopers Consulting Sdn Bhd (464379-U). 2. That despite the global sale of the consulting business of PwC to IBM Corp in 2002, Chin Kwai Fatt & Co have managed to retain the control and ownership of PricewaterhouseCoopers Consulting Sdn Bhd (464379-U), by renaming PricewaterhouseCoopers Consulting (East Asia) Sdn Bhd as PwC Consulting Sdn Bhd (298801-A) to become a substitute for the real consulting arm of PwC Malaysia, PricewaterhouseCoopers Consulting Sdn Bhd (464379-U) in the sale to IBM Corporation worldwide. 3. That Chin Kwai Fatt & Co also appointed Ms Chu Kum Yoon, a Company Secretary, and Mr Foong Weng Chee, who runs his own accounting firm, as the Directors for PwC Consulting Sdn Bhd (289801-A). This was done despite the fact that these two 'sham Directors" have never been involved with the consulting business of PricewaterhouseCoopers in any way. All these and more has been done just to defraud the creditors of PricewaterhouseCoopers Consulting Sdn Bhd (464379-U). 5. As well as another sworn statement by Dato Johan Raslan, the current Chairman of PwC in Malaysia, in which it is stated that the Court of Appeal finds that the claims made against PricewaterhouseCoopers Consulting Sdn Bhd (464379-U) could not be said to be manifestly unsustainable, Chin Kwai Fatt still signed a false declaration in 2008 that the firm of PricewaterhouseCoopers Consulting Sdn Bhd (464379-U), at the date of the signing is able to meet its liabilities as and when they fall due, without disclosing the contingent liabilities. 6. Furthermore PricewaterhouseCoopers Consulting Sdn Bhd (464379-U) ceased operations in 2006, so there is no way for it meet its cash flow solvency against several hundred million in contingent liabilities, and neither is it demonstrated that PricewaterhouseCoopers Consulting Sdn Bhd (464379-U) is able to meet its balance sheet solvency test. 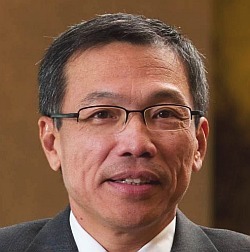 Even then, another Senior Partner in PwC Malaysia, Khoo Chuan Keat signs a false declaration in 2009 that the firm of PricewaterhouseCoopers Consulting Sdn Bhd (464379-U), at the date of the signing is able to meet its liabilities as and when they fall due, without disclosing the contingent liabilities. PEMANDU, please get your "consultants" to deny these allegations before the Pakatan Rakyat lawmakers jump on your case for using these fraudsters from PwC to present the "truth".